Arson is classified as either first degree arson or second degree. First degree arson is a felony punishable by up to 30 years in prison, thus making it one of the most serious crimes in Maryland. It can be charged when a person willfully and maliciously burns or attempts to burn the dwelling of another or a structure, if a person is inside the structure. For the purposes of the law, maliciously simply means that the act was done with the intent to harm. Dwelling in the statute is defined as a place of residence, and if a person is accused of burning a dwelling it does not matter if a person is actually home at the time of the act. First degree also carries a fine of up to $50,000 upon conviction. 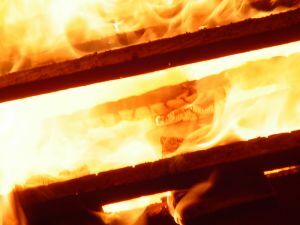 Second degree arson is defined under state law as intentionally burning or attempting to burn an unoccupied structure that belongs to another person but is not a dwelling. It requires that the act be done maliciously, so it may be a legal defense if a fire was set without the intent to harm a person’s property. Second degree is also a felony, but has a lower maximum jail sentence than first degree. The maximum penalty for this crime is 20 years in prison and a $30,000 fine. The state arson laws of are listed together with other less serious crimes including the threat of arson. This crime prohibits any verbal or written threats to burn or set fire to a structure or home. Threat of arson also includes any written or verbal threats to explode a destructive device within a structure. Despite being a misdemeanor this crime has maximum jail sentence of 10 years. If you have been charged or are being investigated for any crime against property contact the us at 410-207-2598. Our lawyers have real experience defending arson cases, and understand the complexity and severity of this charge. We are prepared to take on the police, fire marshal, and the state's attorney to assure you are protected. The Herbst Firm is ready to defend your criminal charge immediately and we will fight for your rights and your freedom.